New Delhi: Manali in Himachal Pradesh has been witnessing heavy downpour. 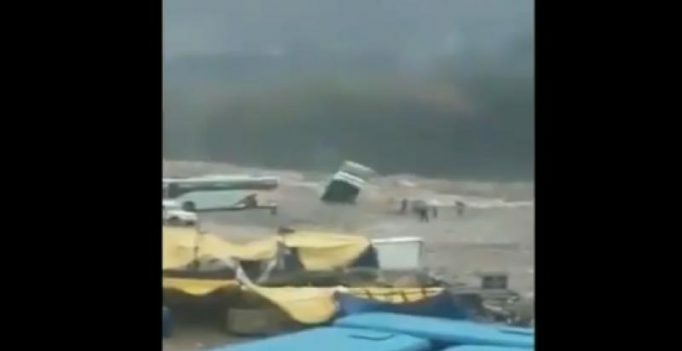 As the water level of rivers in the state is rising, a video posted by news agency ANI shows a tourist bus being washed away into a flooded river in Manali, a famous tourist destination in the state. The bus was empty when it was washed away into the flooded Beas River, ANI said. According to Met department, Manali, which falls in Kullu district, has received heavy rainfall in the state in 24 hours, recording 127.4 mm. The state has been witnessing heavy to extremely heavy rains due to the southwest monsoon that has led to landslides in some areas. Many highways have also got blocked due to incessant downpour. Beas River’s water level has risen considerably, reaching the Chandigarh-Manali National Highway 21 near the Hanogi temple in Mandi district. Vehicular traffic too has been blocked on the National Highway 3 near Aut in Mandi district because of flooding of the Beas River which has entered the highway, ANI reported. 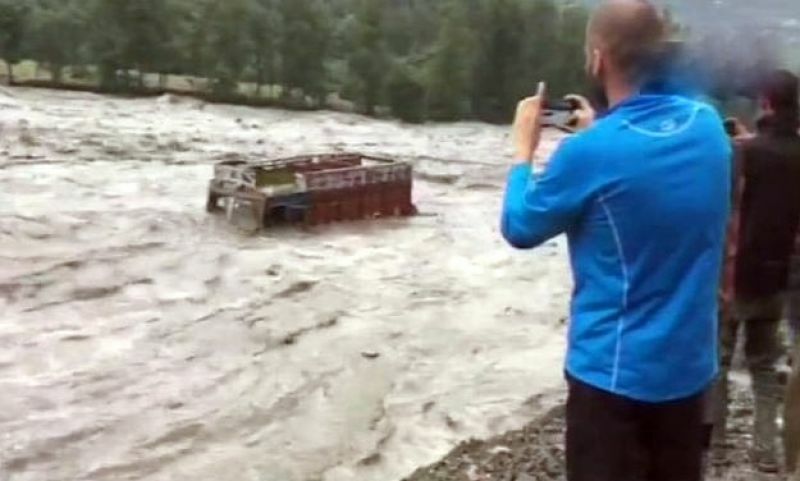 ANI also posted visuals of a truck being washed away from the road into the flooded river near Kullu, about 200 kms from state capital Shimla. The upper hill areas of the state is expected to witness heavy rains and snowfall till Monday, predicts the Met office. Many stranded people have been rescued from the Rohtang Pass which has received fresh snowfall on Sunday. Officials have warned locals as well as tourists not to go near the Ravi River and other nullahs as water is being discharged from the Chamera dam. The water level in Beas is increasing due to incessant rains in the catchment areas. The state received moderate-to-heavy rainfall since Saturday, with Naina Devi town in Bilaspur district being the wettest with 178.2 mm of rainfall. 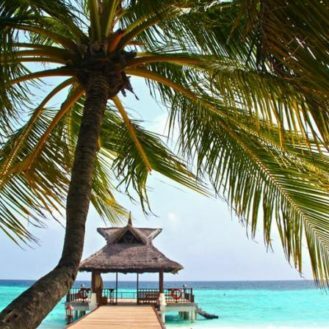 Sarkaghat town in Mandi district recorded 137 mm of rain, followed by Mehre (132.6 mm), Manali (127.4 mm), Dharamshala (125.2 mm) and Kasauli (105 mm), the meteorological department said. Shimla received 47.1 mm of rain.